The best may just have been saved for last. Before 2013 comes to an end there will 3 more exceptional electronic releases: a brand new 3-song EP from Burial, the new full-length album from DFRNT but before those two we have the unveiling of Davidge’s new single. Neil Davidge, p/k/a Davidge, is the award-winning co-writer and producer of Massive Attack. Davidge had a key hand in shaping the sound of the band’s third album, ‘Mezzanine’, as well as their subsequent albums, ‘100th Window‘ and 2010’s ‘Heligoland’. In 2004 he took the lead as score composer with Massive Attack founder and leader, Robert Del Naja, on the Luc Besson movie ‘Danny the Dog’, later renamed ‘Unleashed’ in the USA. This was followed by Davidge’s solo score for the Paul McGuigan directed ‘Push’, plus scores for ‘Bullet Boy’, ‘Battle In Seattle’ and ‘Trouble The Water’, which received an Oscar nomination for its score and won ‘Best Documentary’ at the 2008 Sundance Film Festival. Working with Snoop Dogg on the end title track, Neil scored the music for ‘In Prison My Whole Life’. He also provided additional music to the Warner Brothers blockbuster, ‘Clash of the Titans’. 2012 saw the release of the Halo 4 OST, which Davidge composed, arranged and produced. The critically-acclaimed soundtrack went on to set the official record as the highest-charting video game soundtrack ever, having reached #50 in the Billboard Chart, #10 in the Independent Album Billboard chart and #3 the National Soundtrack Chart. Davidge has also co-written and sonically-sculpted music for David Bowie, Snoop Dog, Damon Albarn, Primal Scream, Elizabeth Fraser and Mos Def. 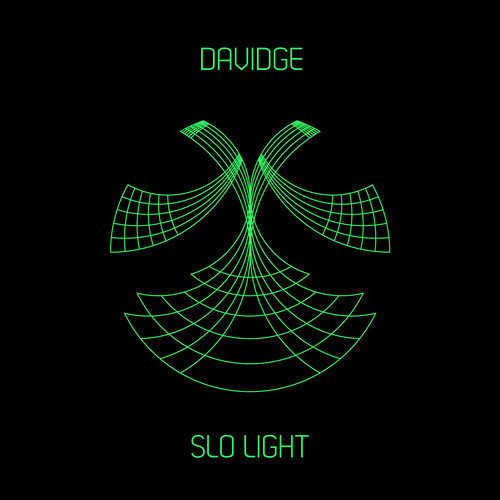 So, with all that being said, we have the first taste of Davidge’s upcoming album which comes in the form of the album’s title track. The opening 45 seconds displays a familiar Massive Attack trip-hop sound before a sweet clean guitar-melody and gorgeous vocal, courtesy of Stephonik Youth, arrive and change the tone and feel of the song completely. Decorated with chimes and lush strings, the chorus of “Slo Light” is a cinematic fairytale. That is until around 2:20 when the song morphs into a lush but explicitly dark and ominous world before once again returning for the song’s fairytale chorus. “Slo Light” is a twisting and turning cinematic journey, a journey that sees light and dark, beauty and tension, intertwine with effortless ease. Oh, and just as impressive as the rich and impeccable production work is the song itself which is solidly crafted, melodic and tuneful. The album ‘Slo Light’ will be released on 25 February, 2014 (US) and 2 March, 2014 (ROW). Pre-order now. Designed by Stephen Kitchen, the ‘Slo Light’ album inner sleeves features geometric shapes that are individual aesthetic interpretations of each track, and the cover art is a phosphorescent design of a similar nature. Listen to “Slo Light (feat. Stephonik Youth)” via the Davidge Soundcloud.